Chili’s and Outback offer healthful children’s meals that follow the National Restaurant Association’s Kids LiveWell guidelines. Chili’s Grill & Bar, Applebee’s, and Outback Steakhouse provide the best bang for the buck among the large family restaurant chains, according to review site Cheapism.com. With a recent NPD Group survey showing that Americans are increasingly choosing chain restaurants over independents, Cheapism visited five of the biggest chains and scoured hundreds of reviews to find out which restaurants offer the best value. The price of a meal for a family of four -- a cheeseburger, a chicken dish, an entree salad, and a kids meal, along with a house salad and a drink -- was cheapest at Applebee’s ($36.74) and most expensive at Outback ($41.44). But Outback delivers plenty of value with low drink prices all day, convenient carryout service, and flavorful food, albeit in smaller portions. Chili’s -- the second cheapest at $37.85 -- emerged as the overall best family dining pick for its large portions and fresh, tasty food. 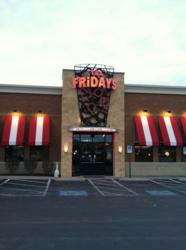 Ruby Tuesday and TGI Friday’s ranked the lowest, with diners generally finding both chains lackluster and overpriced. Chili’s serves the cheapest lunch combos, starting at $6 for a soup or salad, sandwich, and fries. Most of the restaurants offer and identify healthful items on their menus. Applebee’s partners with Weight Watchers to deliver popular low-fat, low-calorie options. TGI Friday’s offers a Right Portion, Right Price menu of meals under 750 calories, although it ranks among the worst for diners’ health in an annual survey by Men’s Health magazine. Chili’s and Outback offer healthful children’s meals that follow the National Restaurant Association’s Kids LiveWell guidelines. Cheapism’s comparison of restaurant kids’ menus found that Chili’s bests Outback based on selection and price. Cheapism also examined Olive Garden and Red Lobster, large chains that offer specialized menus and are often cited as consumer favorites. Olive Garden prices are lower, but Red Lobster is lauded for its large selection of low-calorie, high-protein dishes.